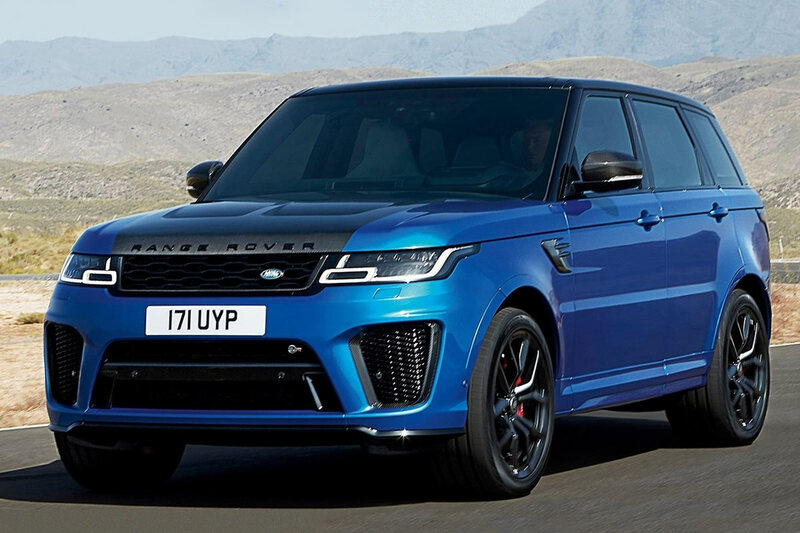 Land Rover Range rover SVR is one of the finest blends of this world in SUVs. Vehicles of this house are considered the best in its class in all over the world. Standard vehicles with extreme luxurious style and features are hallmark of the house. Powerful Land Rover engines, great designs and stylish appearance of the vehicles of Land Rover attracts the customer though it is very costly tags to buy but features offered by the manufacturer are unique and out class. Its giant engine gives splendid performance. It roars while cruising on motorway due to multi variation of valves opening and closing. This variation gives some extra noise to the exhaustion and also affects the pick and speed of the vehicle. With plenty of driving modes you can select as you require. It offers nice and perfect handling due to its heavy bulk and weight of 2.3 tones. Its Electric Power Assisted Steering (EPAS) is quite sensitive in operation automatically. Its automatic eight-speed transmissions and four-wheel drive system offers perfect ride on motorways and also on countryside roads. Its suspensions are automatically adjustable regarding the terrain. 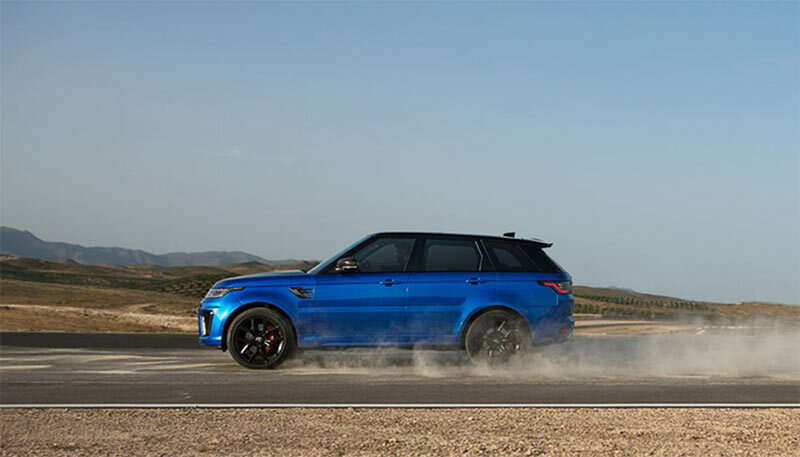 Range Rover Sport SVR is a great vehicle with single 5.0 litre V8 petrol engine. 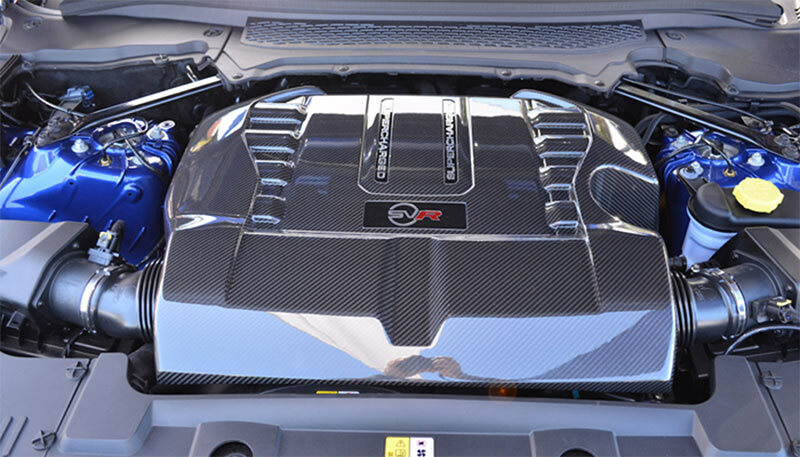 Eight-cylinder and thirty two-valves petrol engine is capable of 542bhp and 502lb/ft torque. It is fast in response and takes just 4.5 seconds to reach from 0-62m/h its top speed is 162m/h. It’s a thirsty one for fuel every second. Its fuel average is 22m/g along with 298g/km of Co2 emissions. 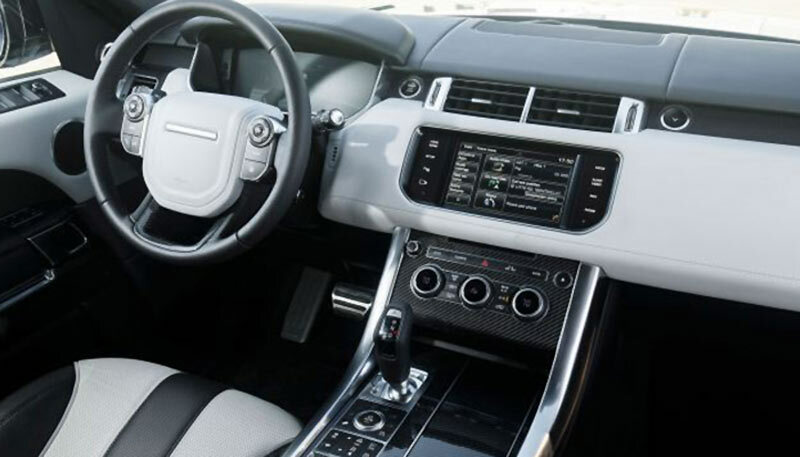 This Range Rover engine is coupled with eight-speed automatic transmission and four-wheel drive unit as standard. This engine has towing capacity of 3000kg. Range Rover SVR is a specially built vehicle with special characters and features not available in common, four -wheel drive sports vehicles. Electrically controlled efficient Anti Lock Braking system, dual zone climate control, adaptive stability control along with cruise control, electric driver’s seat are few quality specs of Land Rover Range Rover. Not only this but Land Rover Range Rover also offer standard air bags with side curtains as standard, electric passenger’s seat, electric sunroof, electric mirrors, heated seat and mirror, front fog lights with washers, parking sensors, front and rear view cameras, remote locking system, telephone, traction control and Sat Nav in this vehicle. Best infotainment system with lot of functionality in itself is also fitted in this luxurious vehicle. The vehicle has scored five stars rating in EURO NCAP crash test in 2014-15, though it’s pedestrian collision system is not as perfect as it should be but all other safety corners are covered effectively by the manufacturer with great perfection. Plenty of safety kits have been installed in it to give the best safety and reliability qualities to the occupants for long lasting. It offers 784-litres boot space that is maximum in this range, shows its good and practical approach due to its big and wide interior.